Employers Guide to Interviews With Check-list. As the new year ramps up, employers everywhere are hiring frantically to meet those yearly targets and goals. 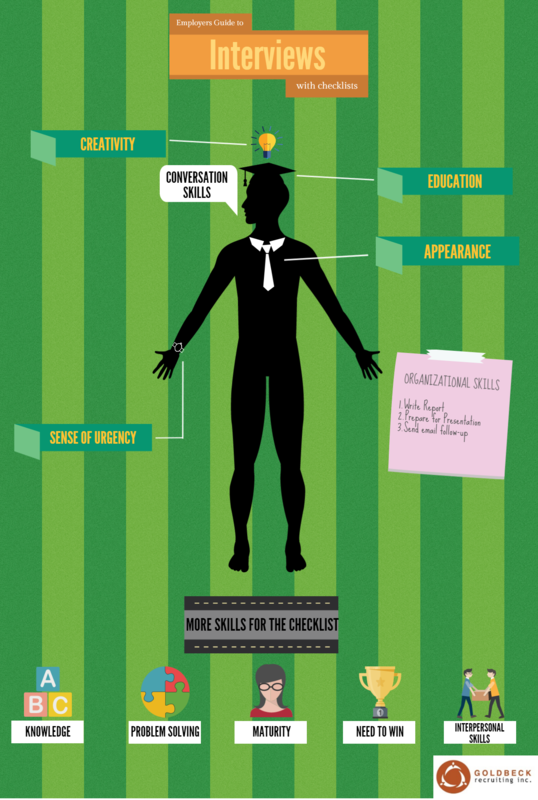 Hiring the right talent is often the reason you are able to achieve these goals, but how do you find the right talent? A check-list helps in finding the right person for the job. Here is an example of things you’d want to keep on your check-list.